My husband is not a pasta fan but he loves this recipe I found on Food Network. 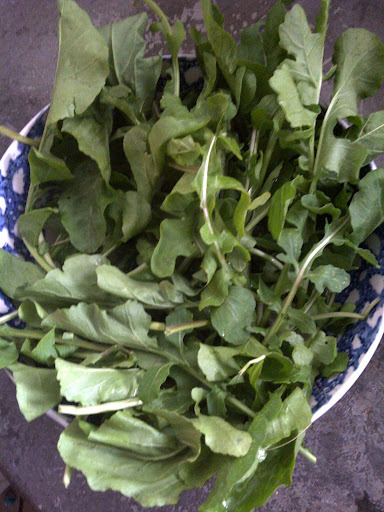 While at the Farmer's Market today I picked up some organic arugula and can't wait to add fresh basil from my garden which are both required. A great dish with home grown ingredients, you can't beat that, Enjoy!